Unlike everyone else, we wouldn’t be continuing the tour after our trip to Milford Sound. Instead we would be getting dropped off in Te Anua and picked up by my dad’s cousin, Robin, to go and stay with him on his farm for a couple of days. 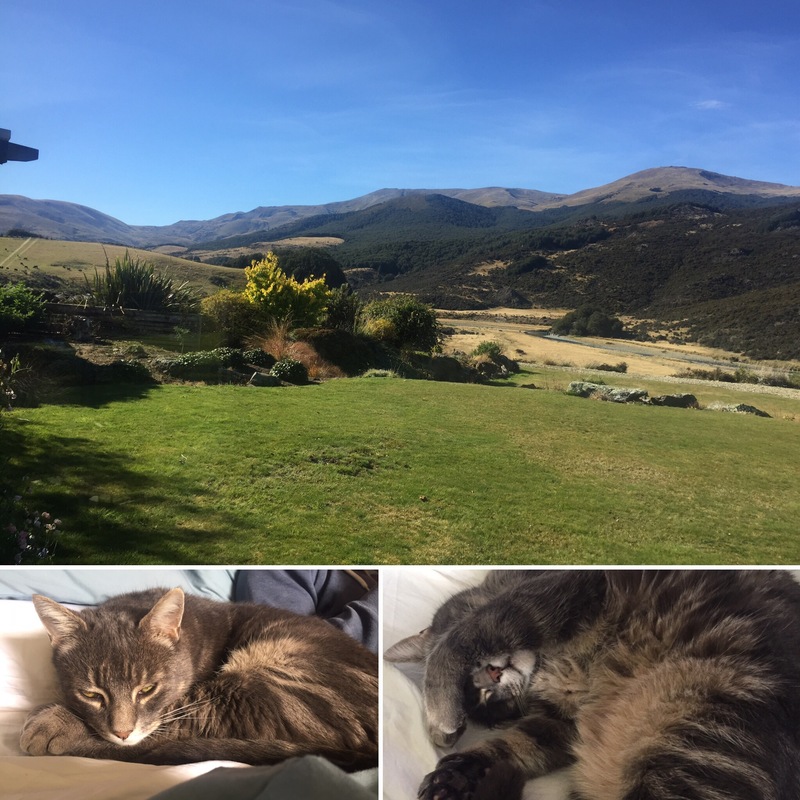 I had never met him before but my mum and dad had stayed with him on a different farm he had managed at the time when they had been out travelling New Zealand so I was looking forward to meeting him. So, on the 21st April we were picked up in the early evening and began the hour or so drive back to Robin’s farm. As it was going to be quite late when we got back, we got fish and chips to eat in the car. 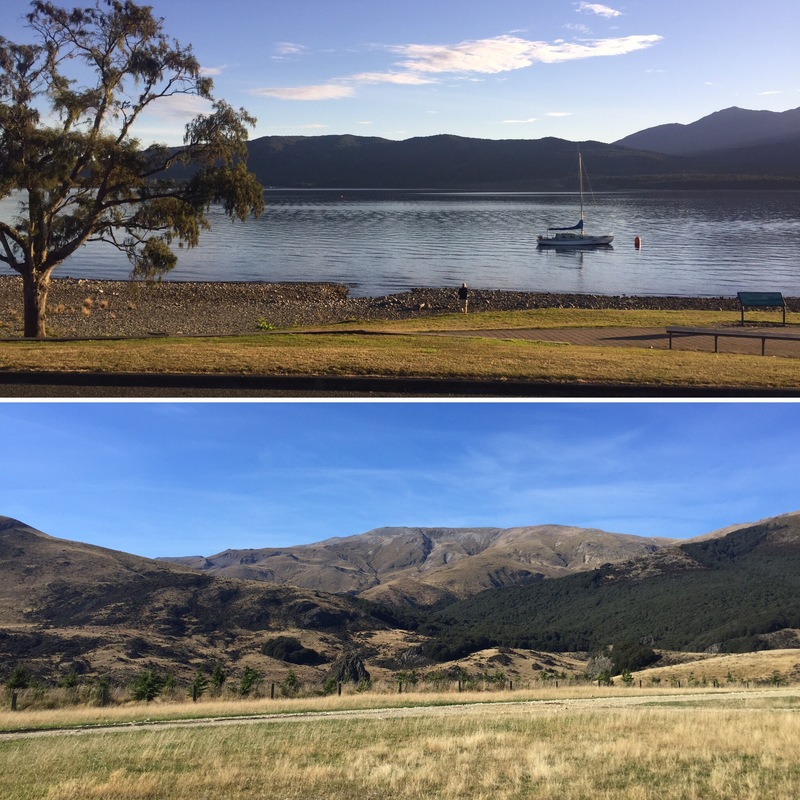 We were really tired from the nights out in Queenstown and then the early start that day so it was an early night for us – instantly happy with being able to stay in a room of our own instead of one with a tonne of other people! The next morning, after a lie in and a good breakfast, Robin showed us around the farm. 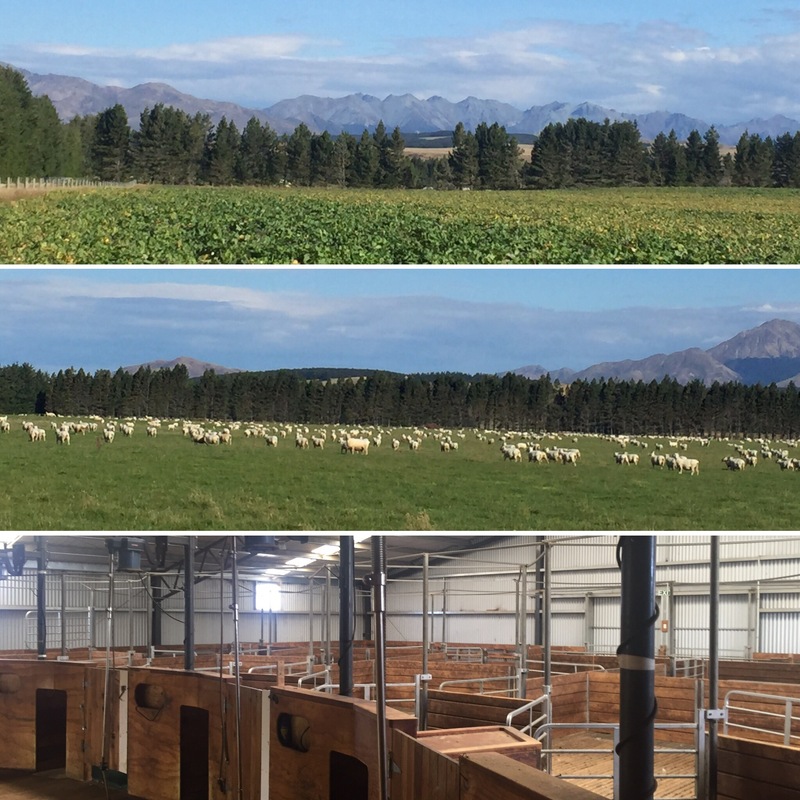 The place was enormous at 25km long and is home to 27,000 sheep and 2000 cows! Even after being on the farm I still can’t comprehend those numbers! The farm is also set in a stunning location surrounded by rolling hills and mountain ranges – it’s truly breathtaking. 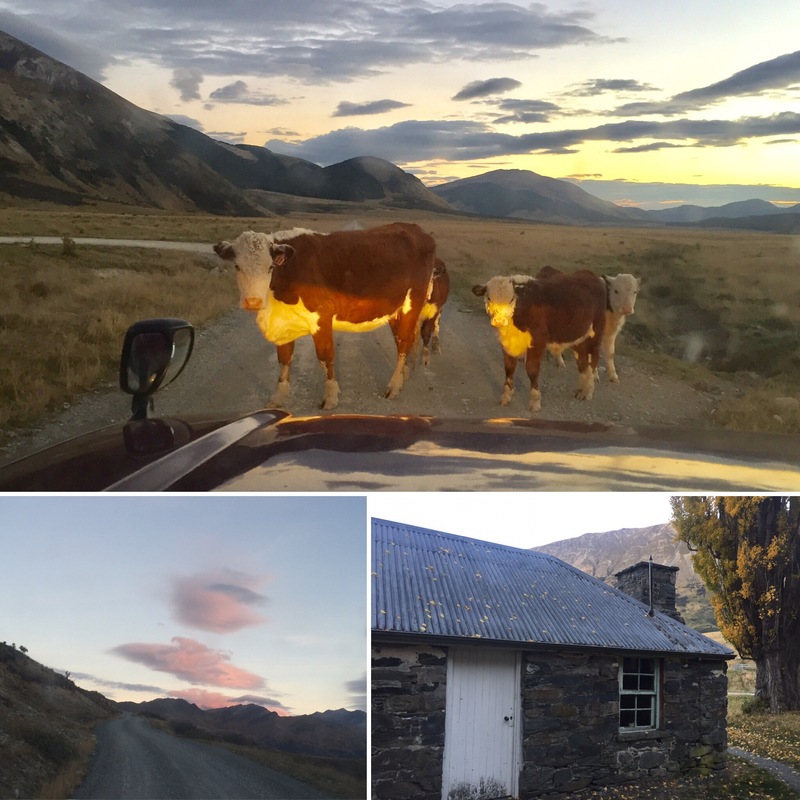 As we were driving down one of the roads in the farm we went past a field of cows who, as soon as they saw Robin’s truck, all began following the direction we were going in. 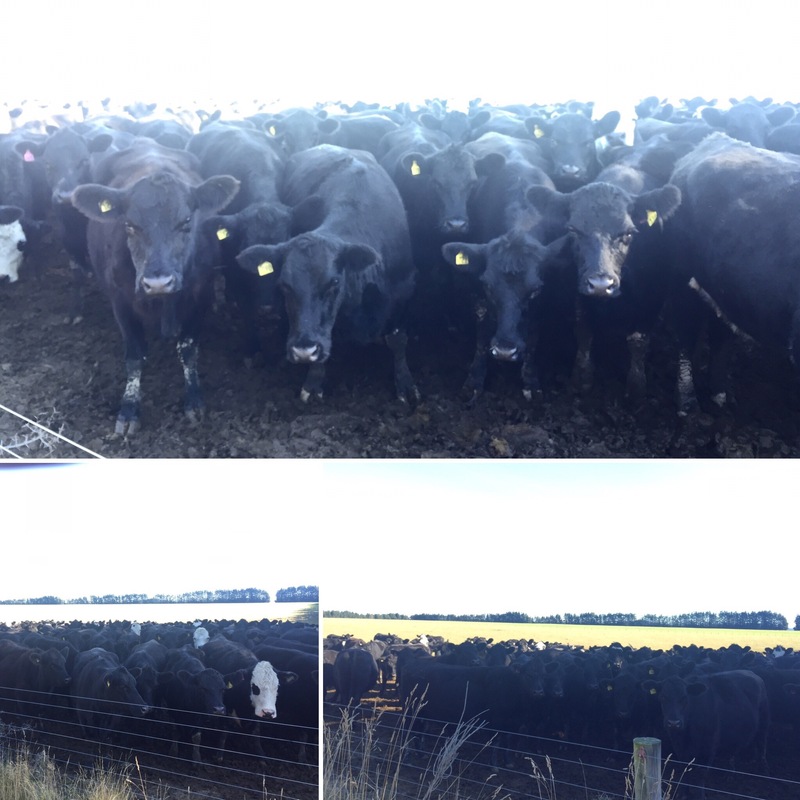 We got to the end of the field and got out to have a sea of 200 cows all waiting and watching us. 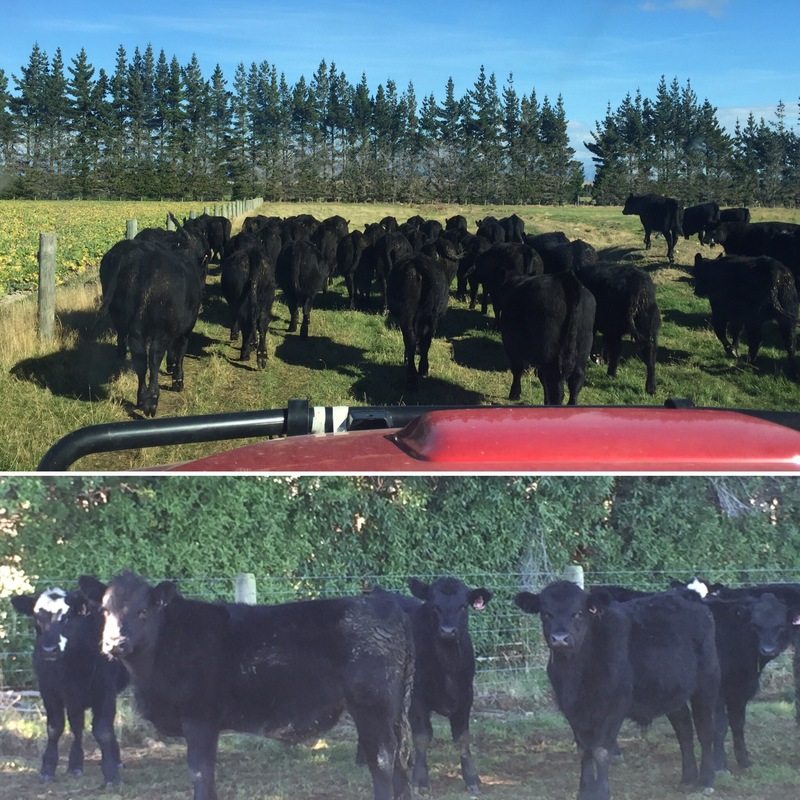 They all looked very annoyed and Robin explained that they had just been weaned off their calves and were angry at all the farmers for separating them – you could see the anger in their faces and they were making quite a racket! What really got me was that I was looking at around 200 cows and they had 2000 on the farm! I couldn’t imagine seeing 100 times more cows standing in front of me all with that same look. We were then shown where the calves were staying, a couple of fields over. They didn’t seem as bothered as their mothers but still paid special attention to the truck as it drove through the field. Next, we were shown some of the sheep that the farm had. We went in a field that had around 2,500 sheep and there were just loads all over the place. Despite this, because the farm is so vast, it didn’t actually look like there was as many as 2,500 in there! 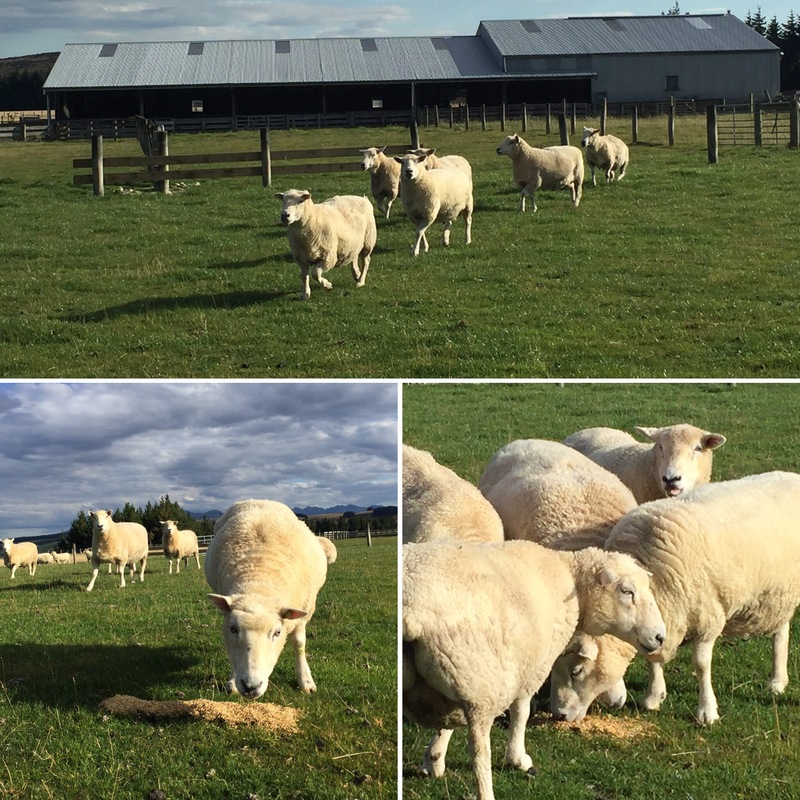 Apparently sheep are really fussy with their food and will only eat good grass – if they only have dry stuff then they would rather starve than eat it. This means they’re constantly having to rotate the sheep to different fields which is one of the reasons the farm needs to have so much land. For this reason, Robin likes having the cattle as they will eat all types of grass so it helps to clear areas with dry grass so that nice, fresh, sheep friendly grass can grow there instead. We were also showed where all of the thousands of sheep have their coats sheared off – it sounds like a militaryoperation to get all of the sheeps coats off without it takes months! 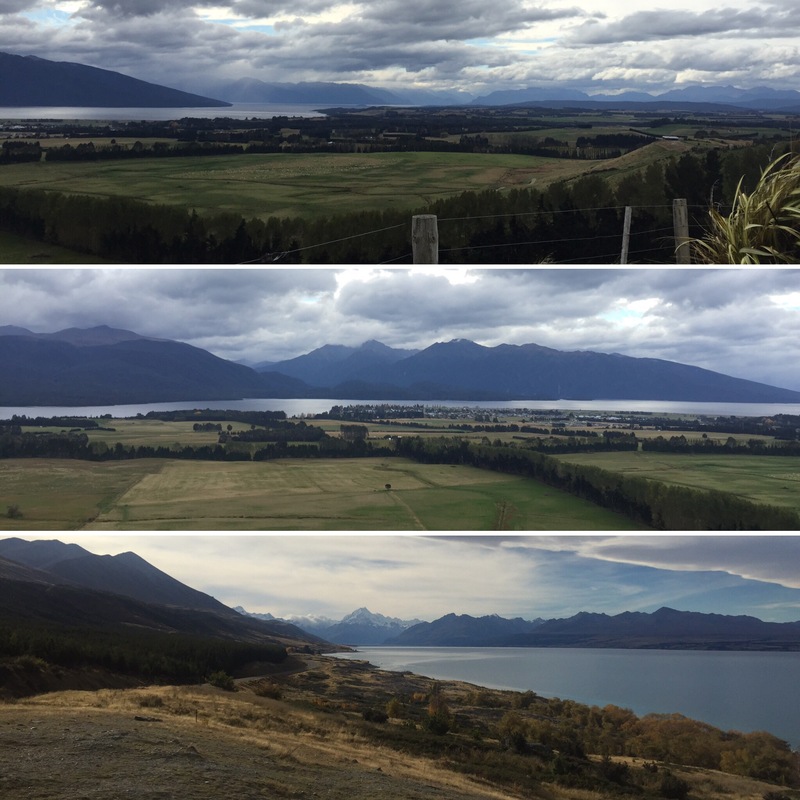 After lunch, Robin showed us the Mavora lakes region which surrounds the farm. The lake was one of the nicer we had been to. It has beautiful weather and the trees and mountains were perfectly reflected onto the water. 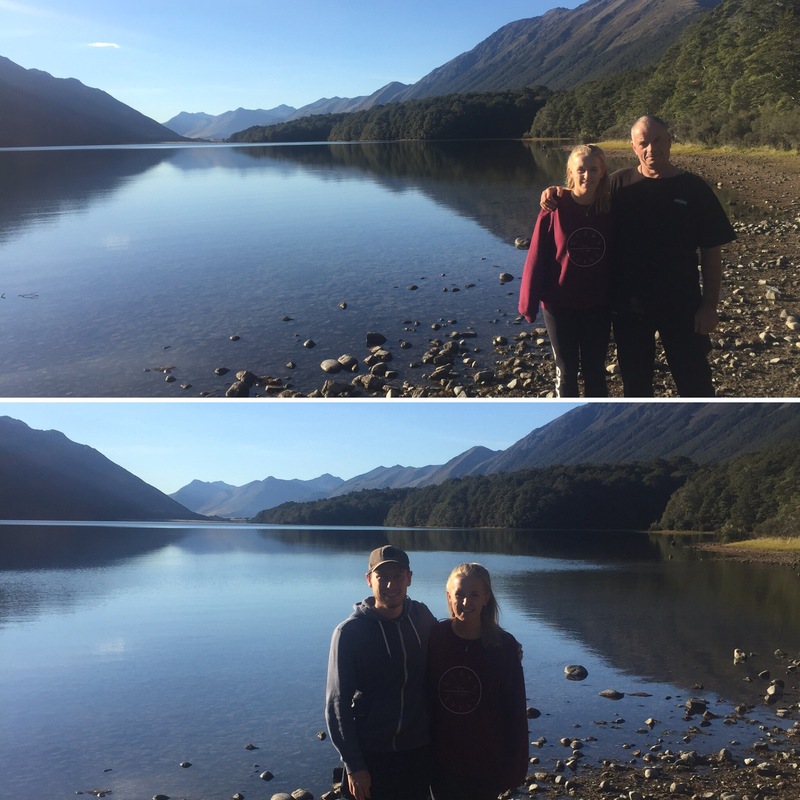 We were so glad Robin took us to see this beautiful lake as it was how we had imagined all of the lakes in New Zealand to be – and probably is when it’s summer! 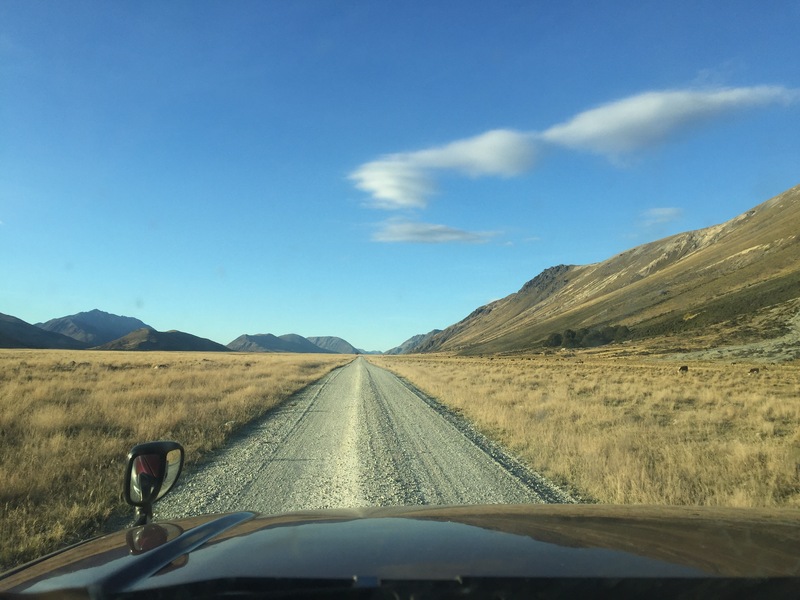 The drive took us through Mount Nicholas Station which is a beautiful, 120,000 square mile range of marshes and mountains with just amazing scenery. The station has some cows and sheep that would just stand in the middle of the road and stare at the car which is so strange and super gutsy. 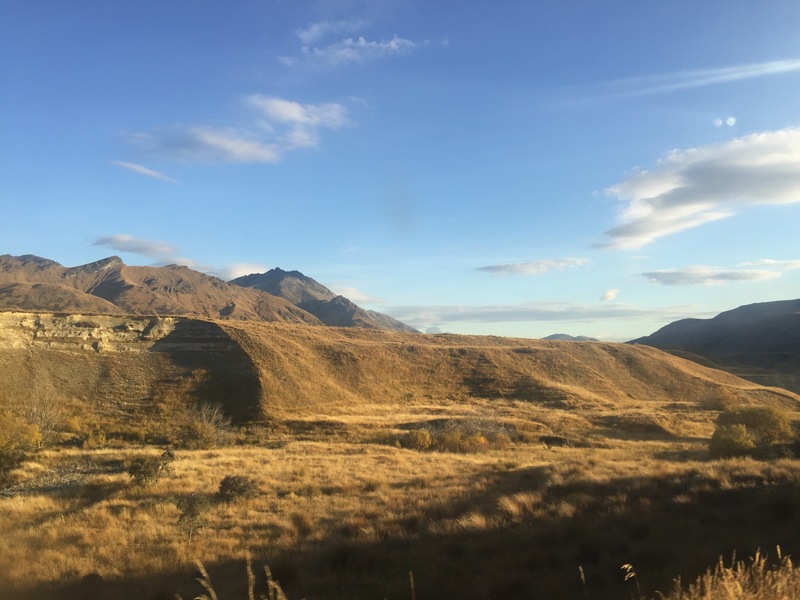 The views in this Station went so far and, if you followed it all the way, you would eventually be heading back to Queenstown. The place was so pretty and it felt so rugged and truly ‘New Zealand’ to me, in the best way. When we were driving back, the sun was setting which was gorgeous over the valleys and mountains. It was a great day getting to see the amazing surroundings Robin lives in with his family. On Sunday 23rd, our last day staying with Robin, we woke up to the sound of a lot of cows mooing outside. I went into the back garden (which showed us more amazing scenery) and saw loads and loads of cows all staring at me behind a fence that separated the garden to a field. They were all gathered together with a few strays on the side of the garden and when I went towards the strays the big crowd moo’ed loads and got very annoyed in what seemed like a form of protest. 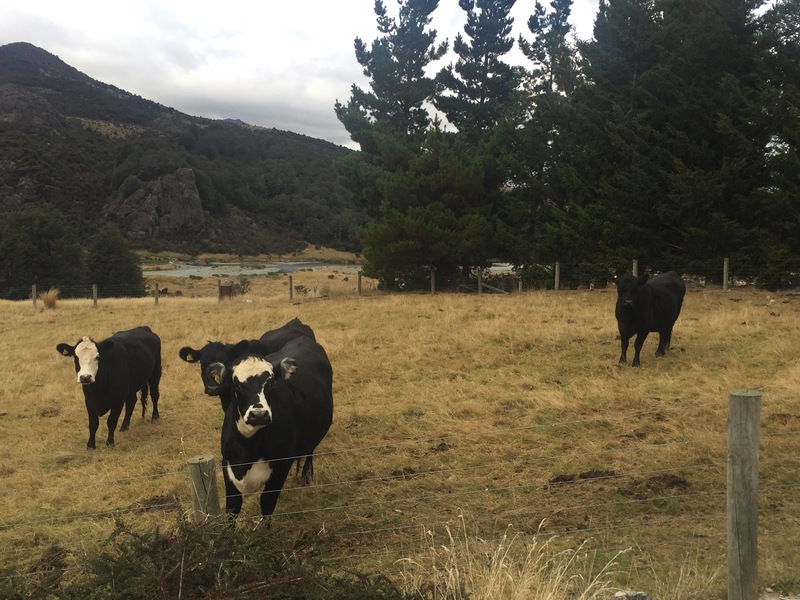 It was a bit crazy to see that many cows so close to a house and it was actually quite intimidating to have them all collectively moo and stare at me! I have never seen anything like it and it was definitely one of the most bizarre (albeit pretty cool) wake up calls I’ve ever had! 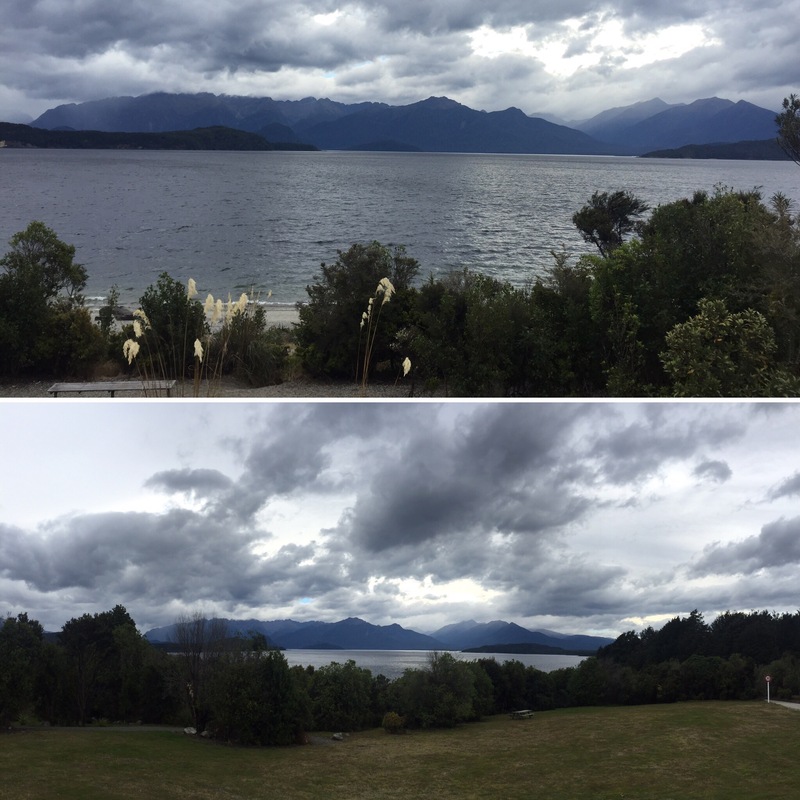 Robin then gave us a little tour of the local area and, on the way back to Te Anua, he took us to Lake Manapouri. 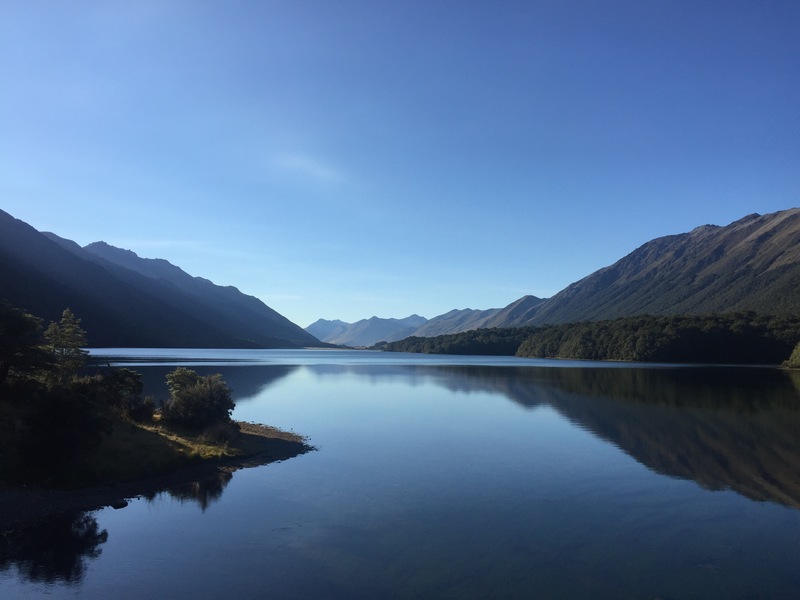 This is a pretty lake that leads to Doubtful Sound (think of it as Milford Sound’s big brother) and it had a great backdrop of the mountain ranges behind it. We were then taken up the ridge to get a good look out over all of Te Anua. The views were great and it was a clear day so we were able to see really far across the countryside. It was so lovely to get to meet Robin and spend some time with him at his farm. 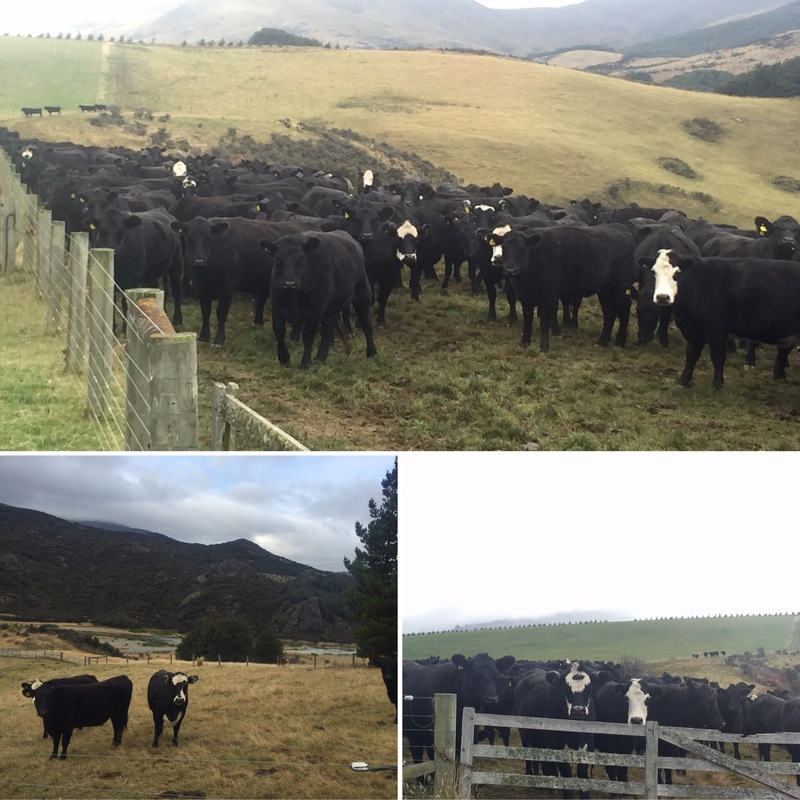 It was cool getting to see that many cows and sheep too, I hadn’t really ever properly been on a farm before and it was great hearing stories about when my mum and dad had been out in New Zealand years before. Hopefully it won’t be the last time I ever see Robin but if it is I’m very grateful for the hospitality he showed to both me and Niall in making us so welcome and showing us around the area.